LOOK, new photos of interior. Location, location only minutes to Sonoma Plaza. Beautiful grounds and pool for your enjoyment. 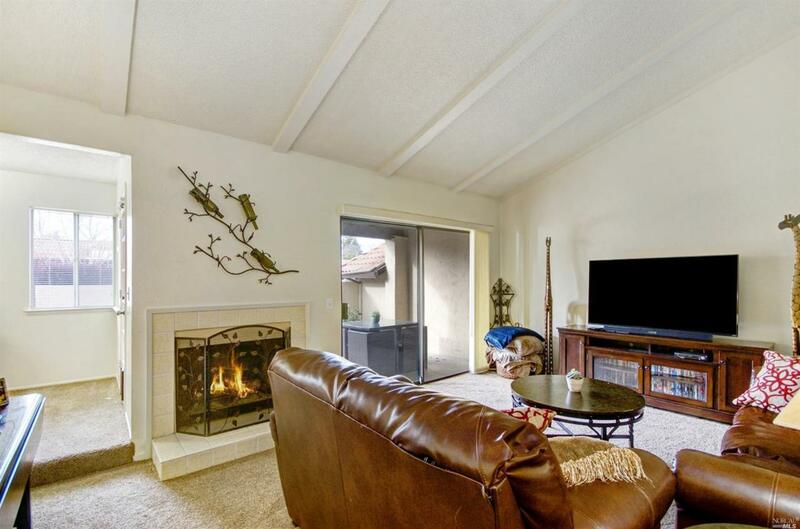 Cozy up to your fireplace in the spacious living room. The bedroom is roomy allowing for a desk if needed. The walk-in closet provides for the fashionista. A detached garage is a plus. Enjoy your patio year round. Your new home awaits.